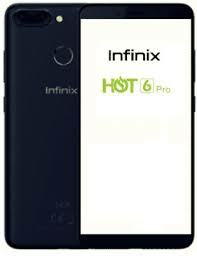 This post is for those of my fellow engineer that are finding it difficult to hard reset infinix hot 6 ( infinix X608). I will be making this tutorial very brief as possible to avoid waste of your precious time. Just follow the instruction very carefully and you will be done. Turn off the smartphone by holding the Power button for a couple of seconds. Now press and push Volume Up + Power keys for a few seconds. When you see INFINIX HOT 6 X608 logo release the Power key. Let go of Volume Up key when XOS image appears. Now press Volume Up + Power button again to open Recovery Mode. You should see the recovery menu choose “Wipe Data/Factory Reset” by using Volume keys to navigate and the Power button to confirm that. After that select “yes” and press the Power key once. When Recovery Mode appears again you should select “reboot system now” with the Power button. Bingo you have are done!